In the present business world, you can see that a lot of business are using the website hosting services for their business. And the reason behind it is that today everyone is using the internet services. And today internet plays an important role in every business. So if you have a website then you can easily showcase your business products and services to the people on the internet. And today if you are using a website and hosting services and if you are looking for information on How to take MSSQL database backup using Windows Hosting Plesk Panel then here is the complete information. 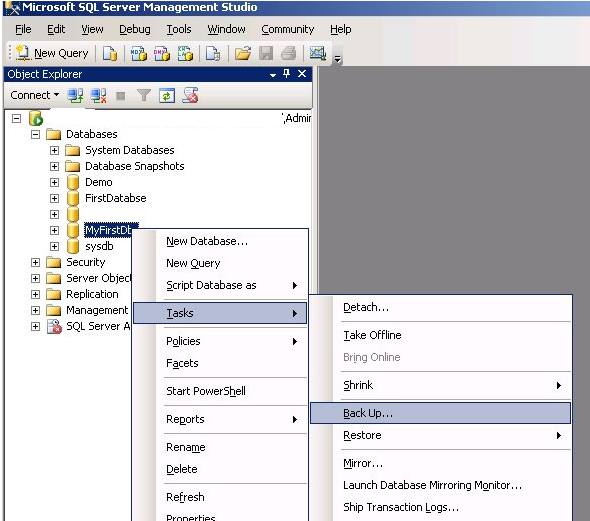 This article explains to you How to take MSSQL database backup in Windows Server. 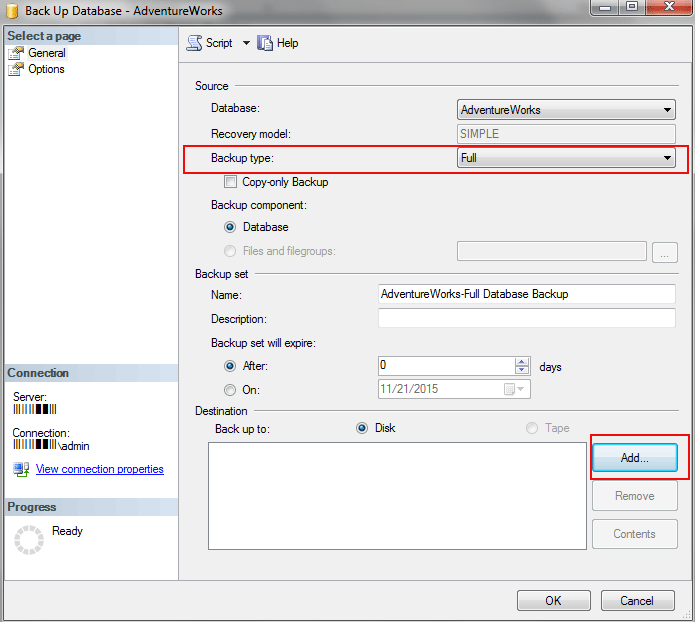 There are several ways to create MSSQL database backup. 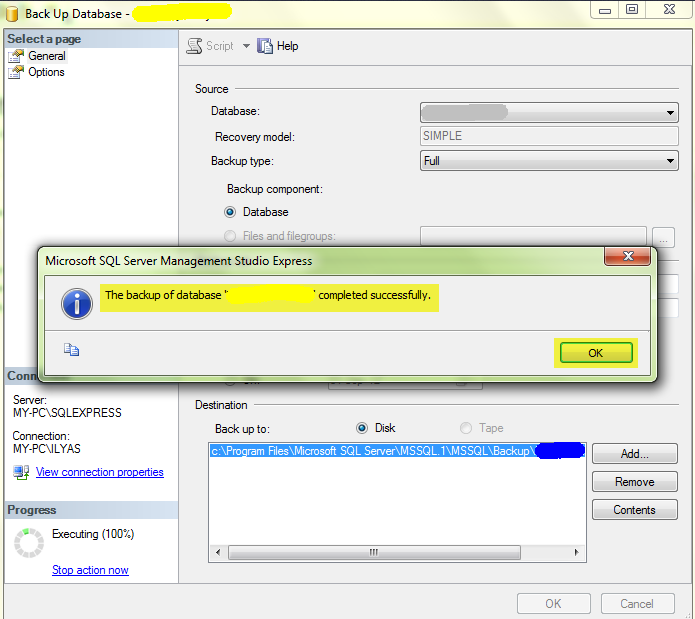 To take MSSQL database backup from Plesk Panel using Databases option. Click on OK to download the backup. 2. 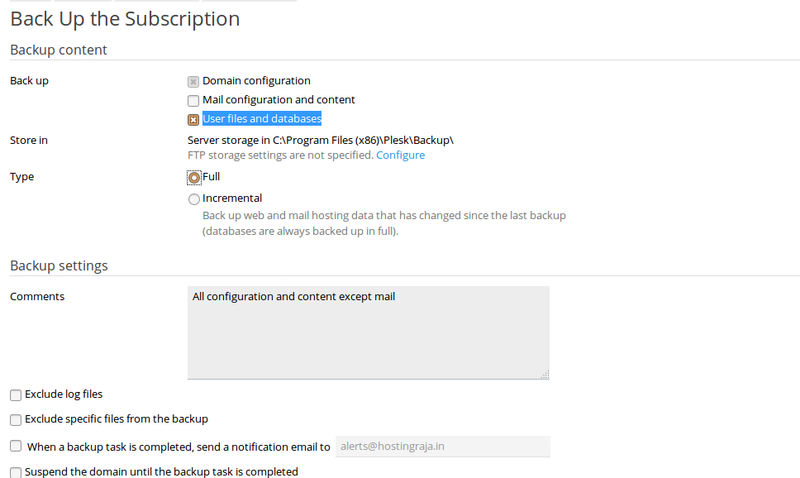 To take MSSQL backup from Plesk Panel using Backup Manager. Select “User files and databases”. Login your Windows server using RDP. Go to cd "C:\\Program Files\\Microsoft SQL Server\\100\\Tools\\Bin" path. SQLCMD.EXE -E -S .\\SQL Server host name -Q "backup database database_name to disk = 'C:\\Backup_filename.sql'"
Select the Backup Type “Full”. In Destination, add the path, where you want to save the backup file. Once the Destination path gets added, click on “Ok” to generate database backup. If you are looking forward to buying a Windows hosting then here at HostingRaja we provide best in class Windows hosting service at an affordable price. And only that we also provide amazing features offers and discounts upto 55%. So what are you waiting for get your Windows Hosting from India's #1 Hosting provider. How to generate the CSR certificate for particular domain in cPanel?